Braids and plaits have been going strong for several years now since we saw milkmaid braids, and dutch braids brace the catwalks of LFW a few years ago, then came the fish tail plait and warrior braids...suddenly plaits and braids stopped being just for a cute 6 year old girl but can be adorned on any 30 year old! I have still had a lot of interest by brides and bridesmaids in plaits and braids and here are some of my favourite ones. Loose, romanitc, boho style that looks stunning as an updo. This one is incorporated with a tousled and textured style. A loose elegant chignon at the nape of the neck incorporating a braid into it. This tousled style might not be everyone's cuppa tea, but if you do like a slightly edgier look then something like this or even a faux hawk might be worth a try. 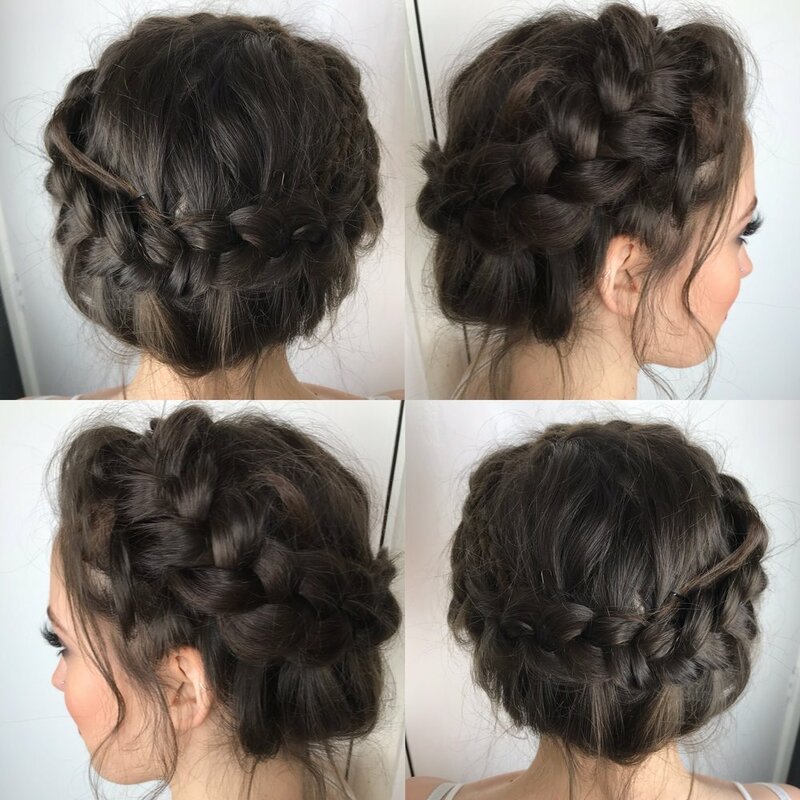 There are many different ways to add a braid or two into a half up, half down style. What's great about this is that you get the best of both worlds. Leave the rest softly curled, waved or even straight!